Does the roof of your mobile home need to be patched or replaced? It can be a hard decision to make. At All Weather Roofing, Inc., we’re your Pasco County mobile home roofing specialists, and we can help you to make the right decision. For minor damage, meaning that there aren’t any puddles on the floor, and you’re not looking up and seeing brown spots on your ceiling, a patch job might provide you with peace of mind for a few more years. However, if the damage is more severe and a roof over is necessary, you can count on All Weather Roofing, Inc. to do the job. 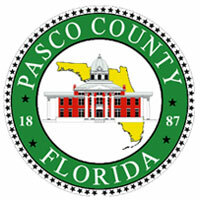 The sad fact is that eventually, every Pasco County mobile home roof will have to have a roof over. Patching is only effective in the short term. Perhaps you feel that you can’t replace right now, and if that’s the case, of course we will patch your roof. You might be pleasantly surprised, though, at how cost-effective a roof over can be. Whatever you decide to do, you’ll know that you’re in good hands with All Weather Roofing, Inc. – we’re quite simply the best mobile home roofing repair and replacement company in all of the Tampa Bay area. If your roof is catastrophically damaged (perhaps by one of Florida’s frequent hurricanes), then there’s no alternative – a roof over is the only solution. Minor leaks can be sealed, but there’s no way of avoiding the fact that at some point, more leaks are going to develop. This can compromise the structural integrity of your mobile home, and can also allow mold to develop. Mold can have a debilitating effect on your health, your family’s health, and the well-being of anyone who occupies your mobile home for any length of time. It can aggravate respiratory conditions like asthma and chronic bronchitis, and can even cause those conditions to develop in people who were previously unaffected. Because of this, if you can replace, you definitely should. At All Weather Roofing, Inc., we have very best option for mobile home roofing – it’s TOP (thermoplastic poly olefin) in the standard classic Non-Pattern White, or for something a little different, the Stony Ridge or Sierra Vista shingle pattern. TPO is extremely strong and long-lasting, and it will provide you with decades of leak-free service. TPO is backed by a lifetime transferable warranty, and as an added bonus, it will save you money on your air conditioning costs – most people who choose TPO report that their AC costs are reduced by an amazing 30%. All Weather Roofing, Inc. came into being over 30 years ago, and we intend to offer quality service and warranty support over the long term. We have an A+ Better Business Bureau rating and stellar customer reviews that back up our claim to be Tampa Bay’s best mobile home roofing contractor. If your Pasco County mobile home roofing is damaged, contact us and we’ll send one of our trusted representatives to your home to do a free video examination. We’ll show you where the problems lie, and then we’ll work together to determine the solution that works best for you. The work can be completed in just a few days. Request a mobile home repair estimate, or call us now at 1-800-297-3758. Our customer service team is there for you 24/7 to answer your questions and arrange for your free video inspection.